We’re giving a little back to the local economy this festive season by rewarding staff with the Christmas bonus of InStrabane gift cards. The cards are one of a number of initiatives being rolled out by the Strabane Business Improvement District (BID) company to help maximise retail and tourism footfall in the town this Christmas. BID Officer at Derry City and Strabane District Council, Catherine Collins, said she was delighted with the endorsement of the cards by Frylite Strabane. 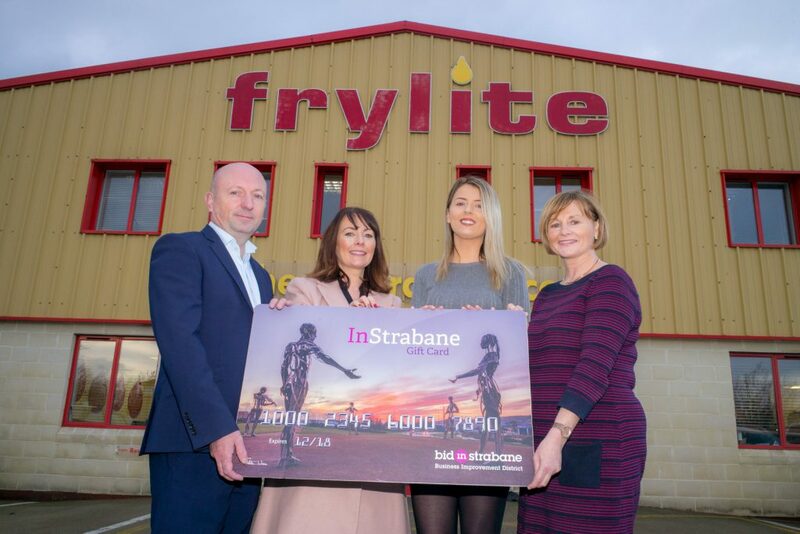 “The InStrabane gift card scheme is an initiative that has captured the public’s imagination and we are delighted that Frylite have got behind it by distributing them to their staff this Christmas,” she said. “The cards can be used at over 80 independent and national retailers all located in the Strabane area and are an ideal way for local businesses to reward staff as they can purchase them in bulk and at a discounted rate. “The scheme also promotes a return to traditional as opposed to online shopping, locking in spend to the Strabane area, and highlighting the compelling retail offering which is available locally. The scheme is only the second of its kind in Northern Ireland and offers access to products at shops, restaurants, bars, salons, leisure and entertainment venues in Strabane. The cards can be valued from £5 right up to £500 and operate like any debit card where users can check the balance on the card at any time on the website or by scanning the QR code on the reverse of the card. Research into similar schemes show that customers who redeem gift cards spend on average 40% more than the value of the card and tend to upgrade their experience with higher-margin products. 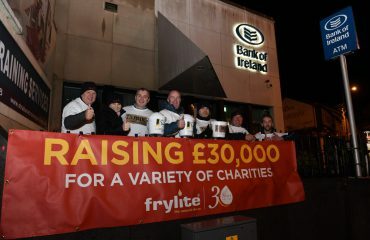 Frylite’s client base stretches all over Ireland making them the leading supplier of vegetable oil and collector of used cooking oil and hard fats on the island. Founded in 1988 they introduced a brand new ‘complete oil management system’ to provide caterers and food companies with a ground breaking all in one supply and waste collection service. 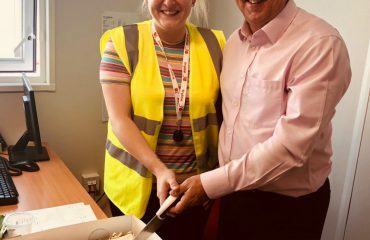 Almost 30 years after they were formed, Frylite continue to operate at the cutting edge and forefront of the industry and last year set up a Food Waste Diversion division to help Northern Ireland companies meet new legislation about the separate disposal of food waste. 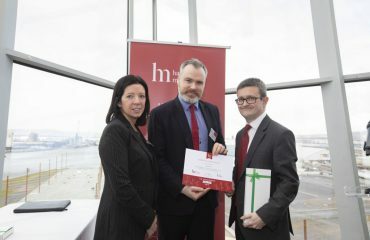 Company founder and Managing Director Eamon McCay said the company were pleased to give something back to the local economy by gifting staff the cards. 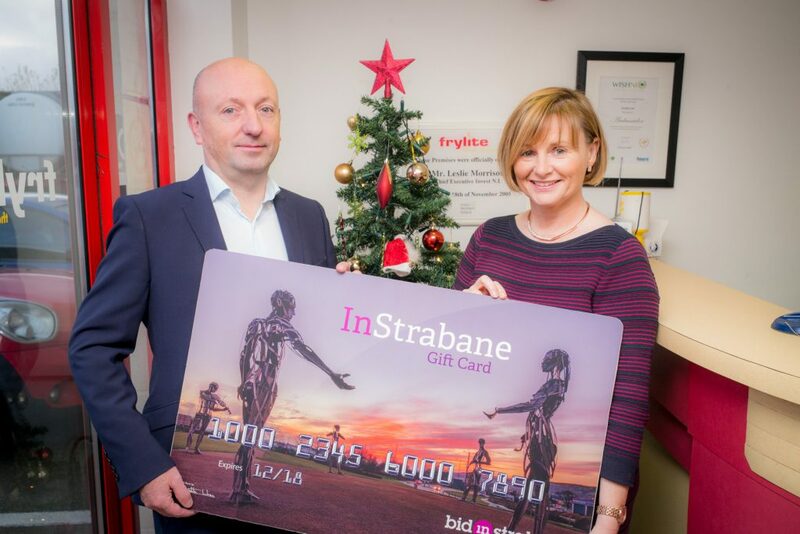 “The InStrabane gift cards are an ideal way for us to reward our dedicated team at Frylite while also helping stimulate the local economy this Christmas. “Many of our own clients are shops and restaurants in the Strabane area and we believe it is important that local businesses support each other and promote our own retail offering. The Strabane BID company was created last year after Strabane businesses voted in favour of becoming a Business Improvement District, where local businesses work in partnership to raise funds to improve the town centre and the surrounding environment. The In Strabane’ cards can be purchased in up to three outlets in the town including Café Fresco and the Alley Theatre as well as available online via www.instrabanegiftcard.com. Businesses who want to sign up can contact the BID team at the Strabane Council offices.